Navy beat Army, the App State game, the Division II Champsionship — really fun tv today. Oppose Scientific Conspiracies. Support Open Acceess. One of the lessons of climategate is that anti-scientific conspiracies and sloppy work can exist even in science. The cure for these diseases is sunlight. Therefore, I support Obama’s Office is Science & Technology Policy trial balloon of forcing scientists who do work with federal funds to make the results of that work freely available. Not only would this make life harder for global warming cultists to hide behind paywalls costing of thousands of dollar per user — it helps science as an institution. Therefore, I hope that President Obama pushes forward with plans for open access science. 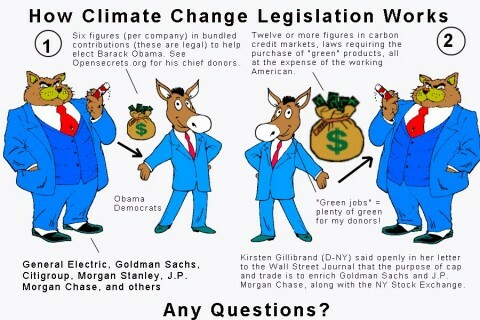 I oppose bailouts, and so I oppose the American justification for lying about global warming. However, the European lie is a noble lie — it is a lie in favor of a greater good. Russia is a dangerous, warlike, central Asian power that regularly invades European democracies. We should oppose Russia. But the Treaty of Copenhagen is not the best way to do it. A better way to work against Russia is to support her neighbors. In Europe, this means broadening the Alliance and deepening the Union. In East Asia, this means encouraging the economic trends that are leading to a Chinese colonization of Outer Manchuria. In Central Asia, this means winning in Afghanistan, and driving (pushing, airlifing, whatever) violent jihadists to Russia. The Treaty of Copenhagen is fine for European countries. It allows them to take collective action against Russia. However, there are better ways for us to help than by signing on. It turns out that all you need to win a Big 12 Championship against a #22 team is refs who actively cheat for you. The referees wanted a Big 12 Team in the BCS National Championship. Through their calling, they may get it. Texas does not belong in the BCS National Championship. Colt McCoy does not deserve a Heisman Trophy.